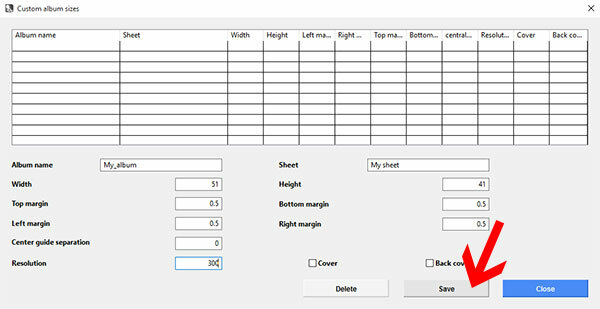 3.- Input your sheet size, give it a name (album name and sheet name) and click at Save. 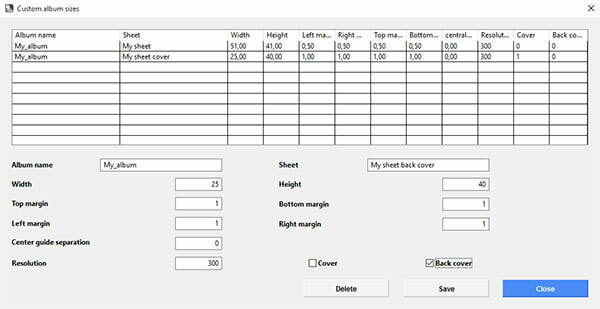 5.- And also input the size for your back cover and select the Back cover checkbox at bottom (Cover and back cover are optional). 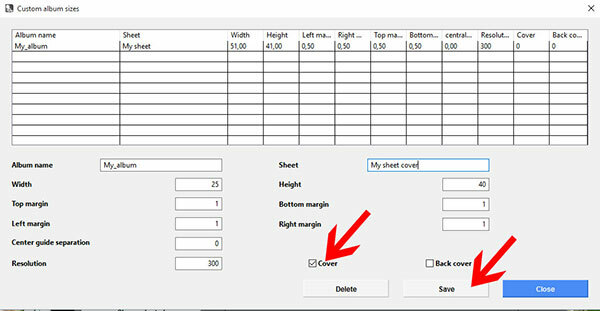 Please notice that the album name should be the same for sheet, cover and backcover for a single album type, this way cover and backcover are preselected when you select an album sheet. 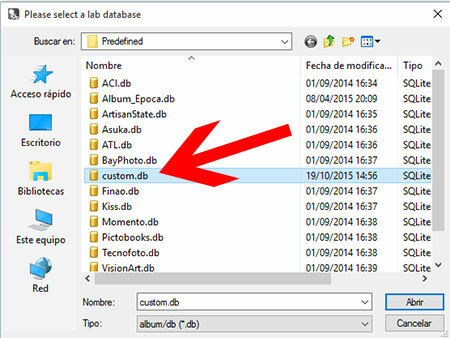 7.- Input the corrected size and click at Save or click at Delete if you want to delete this record. 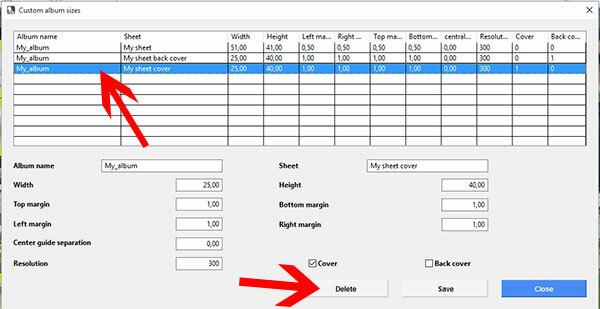 If the values for a record change a new record will be added and you may delete the old. 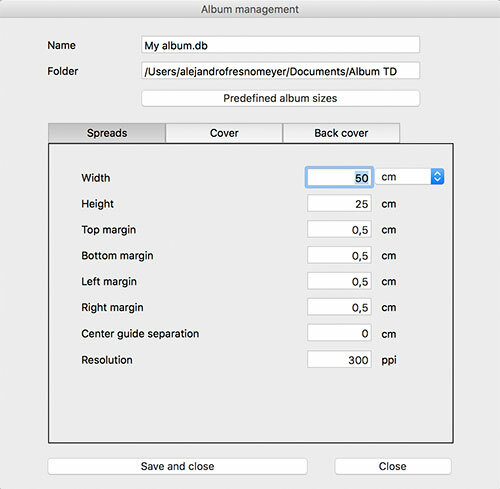 This album sheet, cover and backcover sizes are automatically input for your album at the main album size edition window.